This is the first year that we’ve had to shop for a ‘tween and though it was a bit of a challenge. We’re confident that we found things to put under the Christmas tree that are going to get that ‘shriek’ of approval. The Sprocket is the coolest way to print images on the go! 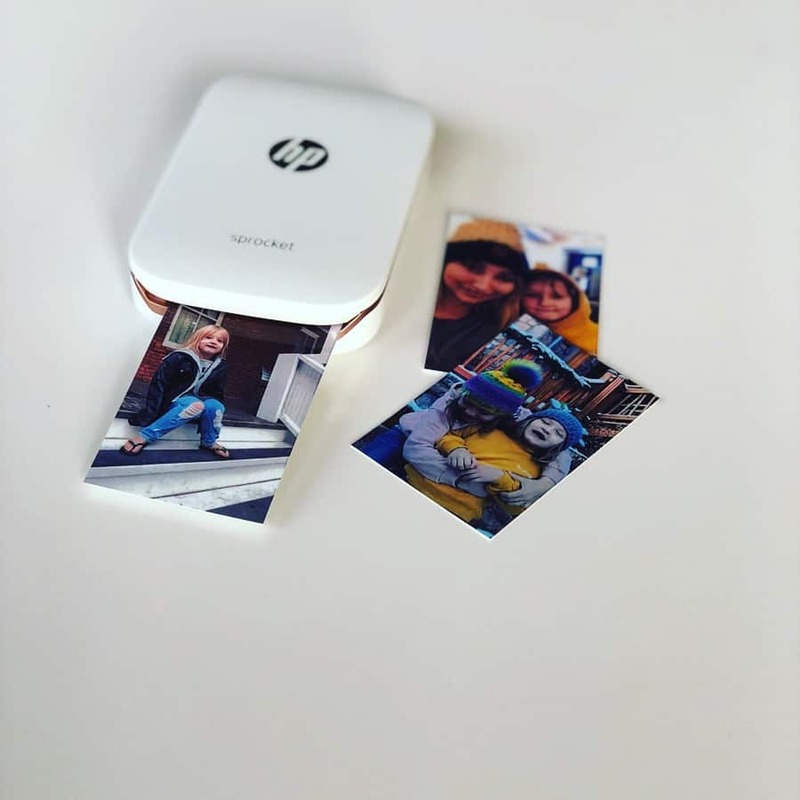 You can take the images from your Smartphone, and using the HP Sprocket App, edit and print the images instantly. What a cool way to capture memories, adventures or everyday experiences with friends. The best part (for your tweens?) is the fact that the images print with a sticky background and can be stuck anywhere! The best part (for you?) is the incredible tech in the paper meaning you’ll never have to buy ink for this mini printer that can fit in their bag. The refills are also very affordable, in comparison to something like the Instax Film! Sound that packs a punch in bright colors that’s quick connecting to a phone or ipad. The bluetooth speaker is perfect for tweens – but with enough quality sound that you’re going to want to grab it for yourself when it’s time for a kitchen dance party! Clouds, flamingos, lettering, cactuses – there is a neon light for every occasion and for your ‘tween, that occasion is likely going to be setting the mood for that dance party we talked about, above. Neon lights are available on stands, or wall mounted, plug into the wall or battery operated – so it’s a cool way to create a vibe in their living space. Amped & Co. is one of our favourite brands of Neon Lights because they plug into the wall and have trendy, and quality, lights that are going to last for years longer than your ‘tween is going to think they’re on trend. (hello, younger siblings)! Prime climb is a beautiful, colorful, mathematical board game designed for 2 to 4 players. Roll the dice and add, subtract, multiply and divide your way to the center of the board, picking up prime cards and bumping your opponents back to start as you go. The first to land both pawns on 101 wins the game! everyone can learn to multiply and divide using prime climb’s unique color coding. Inspire deeper mathematical understanding while mastering arithmetic! prime climb is a perfect game for families & schools, kids & adults. Awaken your love of math, with prime climb. It’s simple enough for families with tweens and younger siblings, but engaging enough that you’re not going to be yawning your way through it, as a parent. Board games are coming back as the trend to get off the screen and get engaged with something in front of you – and for that reason they’re one of our favourite tween and teen gifts to give this holiday season. Prime, Sequence, and Scrabble are some of our favourite classic games that are engaging for tweens, teens and young kids. Wreck This Journal et al. Wreck this Journal, Finish this books – These books are a hit with our tween kids, and their friends. The books can be written in, journalled in, doodled in. They’re an interactive way for the kids to get their thoughts and feelings out, complete the book and wreck that journal! Staples provided us with products to create this feature as part of our 2018 Giftspiration Guide.